Here are the Rocky Mountain FOP field trips that we have material for. Please contact me if you have other trip information. We would love to share your information. 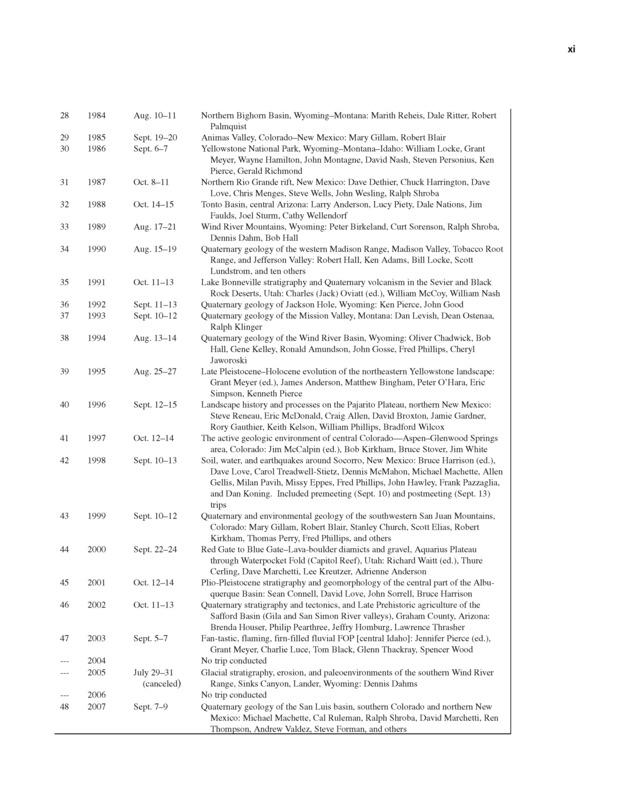 This is the list of the RM FOP trips (as published in the 2007 RM cell guidebook). Also posted below. 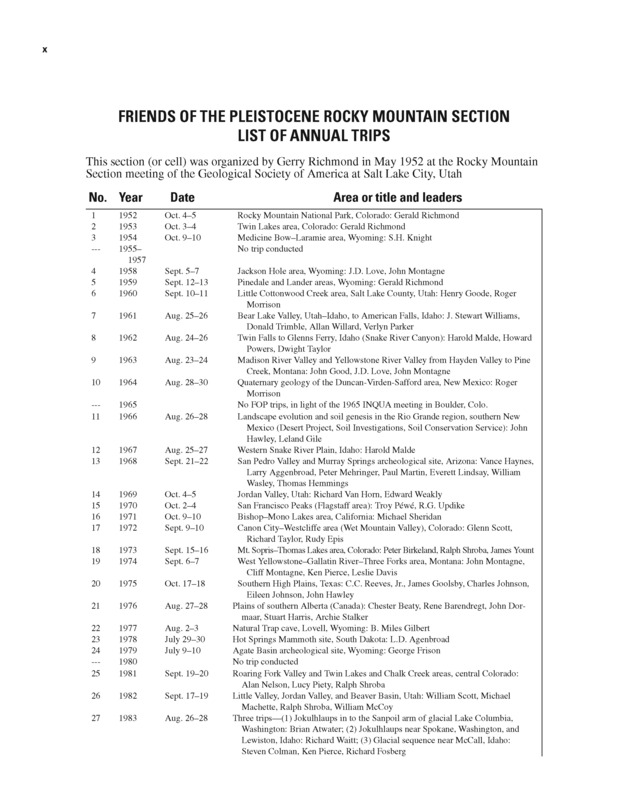 I am looking for: Davis, L. G., Montagne, C., Montagne, J., Neilsen, G. and Pierce, K. 1974, Guide to annual field trip, Hebgen Lake area to Bozeman, Montana: Rocky Mountain sect., Friends of the Pleistocene, 9 p.
I would like to acquire an electronic copy, but would consider buying a hard copy. Hey Joel, don’t know if you ever found one but if not, I think you could get a copy from USGS Denver library. They have a fairly complete set of Rocky Mountain FOP trips donated by Mike Machette when he retired. Your list of trips doesn’t include the Rocky Mountain FOP trip on September 10, 2005 at Craters of the Moon and on land controlled by the Idaho National Lab. The trip leaders were Doug Owen, Craters of the Moon Park Ranger and Dr. Catherine M. Helm-Clark from the Idaho National Laboratory. I have several handouts and the list of stops that served as a guidebook. please remiss my delay. I will add this information. If it is possible, it would be great to get a digital copy of the guidebook. As I sit here and ponder warmer times, I regret my missing out on FOP field trips for 2017. Sure, I could of remembered to look at the FOP website to find out which sections were doing a field trip. Heck, it only took me till December 18, 2017 to finally check. Alas, a bit late.